M/E Engineering's CFD Modeling Services reduces clients costs, increases revenue and improves safety. 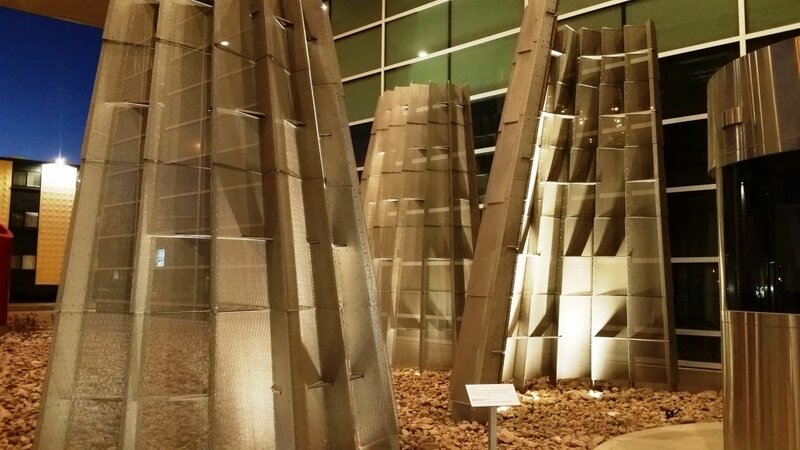 What is the story behind those interesting, metal screen sculptures outside of Conventus Center For Collaborative Medicine in downtown Buffalo, NY? Due to the building's location, it was determined that the potential for high winds around the building could pose a problem for pedestrians. 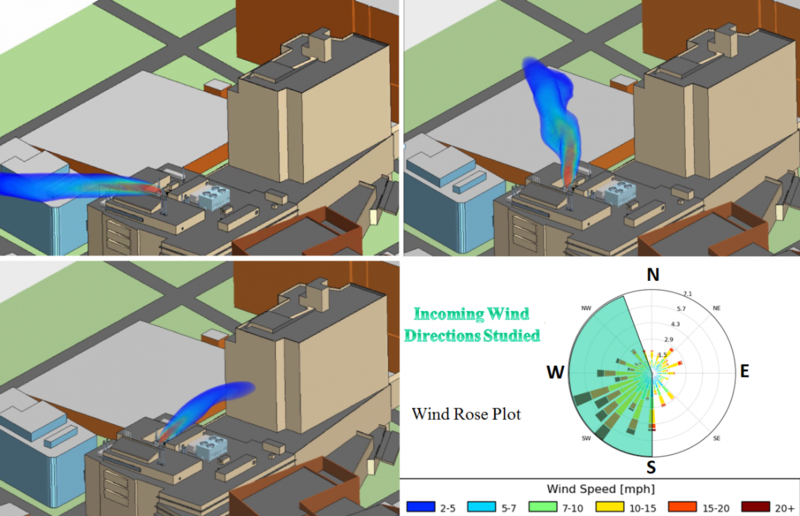 By using Computational Fluid Dynamic (CFD) Modeling, specifically for wind dispersion and wind load, M/E Engineering was able to suggest solutions for deflecting the wind speeds so patrons walking in and out of the building could do so more safely. M/E Engineering reviewed the potential for high winds around the building in order to assess the effectiveness of wind screens. The results showed that a 40mph high wind could accelerate winds up to 60 mph around the building entrance. CFD Modeling was used as a collaborative design tool in conjunction with a custom designed solution produced by students from the State University of New York at Buffalo School of Architecture & Planning and Rigidized Metals Corp. The building's developer, Ciminelli Real Estate Corporation, used this as an opportunity to incorporate public art at the exterior of the building. High detail of the metal wind screens, such as porosity and small geometry gaps were included to further enhance the accuracy of the modeling efforts. After multiple simulations, the results of the CFD modeling showed a reduction in wind speed by 20 mph around the entrance to the building with the use of the wind screens. Our CFD Modeling, design efforts by the students and CREC's collaborative effort made this an extremely successful project. 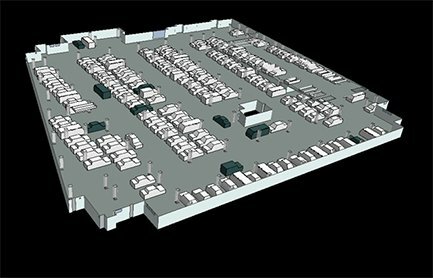 How did M/E Engineering reduce overall costs by Increasing parking spaces and leasable square footage? Underground parking facilities present many design ventilation challenges. CFD modeling was used to evaluate the airflow patterns and the levels of Carbon Monoxide (CO) during peak traffic conditions. 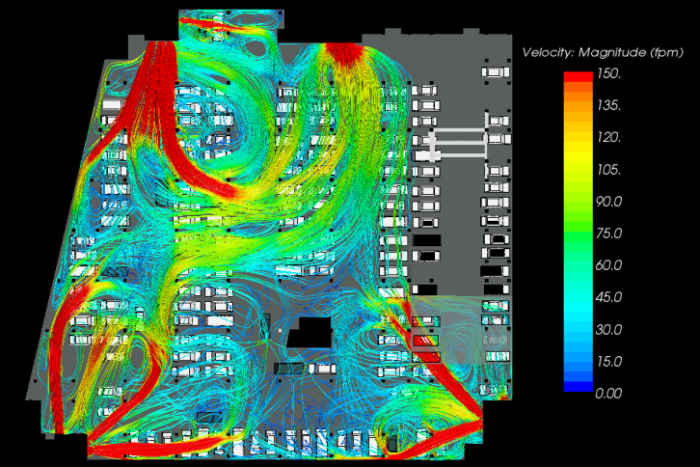 Our engineers adjusted the ventilation system design based on findings from iterative CFD models and achieved a 75% reduction in CO over the initial design. Only through CFD modeling were engineers able to achieve such reduction, which allowed a New York State Code variance to reduce ventilation rates in half saving the Owner $4.5 million dollars over the life of the building. The proposed neighboring John R. Oishei Children's Hospital and University of Buffalo's, Jacobs School of Medicine and BioMedical Sciences in this urban environment created the potential for exhaust fumes from entering outside air intakes. Laboratory exhausts, diesel generators and boiler stacks created a challenge with respect to the location of outside air intakes. The CFD modeling not only provides analytics but also is a collaborative design tool using Building Information Modeling (BIM) from the architects of all three buildings, as well as engineering models for the Conventus Core and Shell and Tenant Fit Out. M/E Engineering ran multiple CFD models to determine the potential environmental impact of the proposed equipment. Design options were assessed including a variety of stack locations, stack exhaust types and stack heights. Using CFD modeling, M/E Engineering was able to provide the optimal design in order to minimize the effects on air intakes. M/E Engineering utilizes a state-of-the-art virtual wind tunnel simulation technique. This process allows us to test multiple incoming wind directions within one simulation. A single iteration of this model produced re-entrainment values for multiple sources and chemicals at all intakes and important areas for wind directions over a160 degree range. This technique allows our engineers to accurately determine the probability of re-entrainment considering historical wind data. 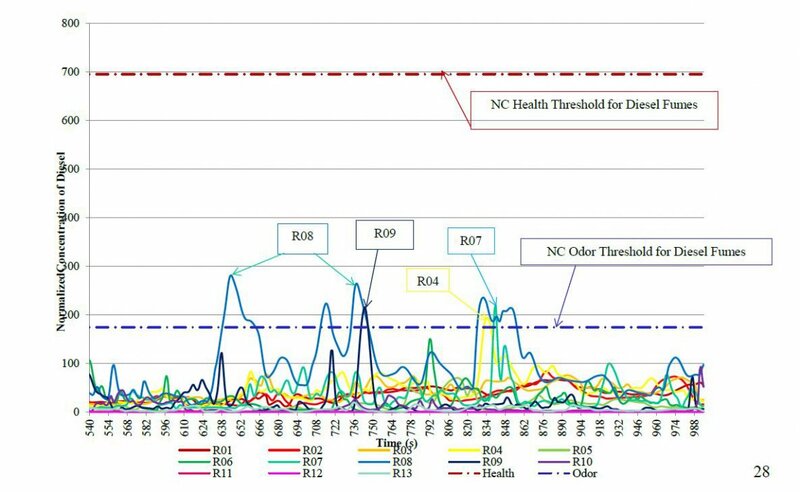 Specialized issues can be analyzed by CFD. In this case, a helicopter approach, landing and takeoff were simulated by M/E Engineering. The purpose of this study was to determine the impact of helicopter exhaust on Conventus air intakes during an emergency Mercy Flight landing at the John R. Oishei Children's Hospital. Different approaches can have very different impacts in terms of exhaust fumes being entrained into the building. CFD is a technology making its way into the Architectural and Engineering Construction design community. Recent advancements in computational processing speed have allowed architects, engineers and building Owners to streamline this tool into the design phase in order to test critical aspects of various designs. M/E Engineering has been investing in CFD services for over 10 years and has industry leading staff with over 30 years of experience. The design improvements realized using CFD in occupant comfort, safety, environmental impact, and energy reduction all contribute to the sustainable concepts achieving Green Building Design for LEED Certified Platinum Core and Shell.